Personal injury victims and the families of deceased victims have the right to expect that the liable person or business will be held accountable. Legally, accountability means payment of the maximum financial award allowable to compensate victims for their medical bills, lost income, daily physical pain, emotional suffering, scarring, disfigurement, and all other related expenses. 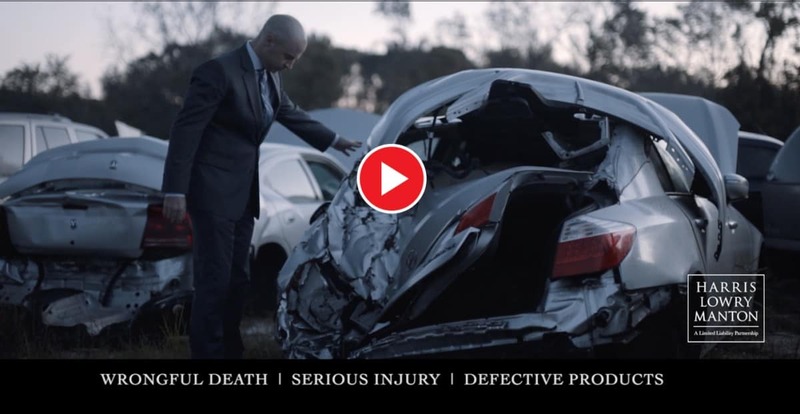 Injury victims need representation from professional Atlanta personal injury lawyers to determine how and why the incident or injuries happened, who is responsible, and the full extent of their damages. At Harris Lowry Manton LLP, our team of knowledgeable attorneys have a reputation of success. We are the only Georgia firm to secure number one verdicts in six different categories – automotive, products liability, business torts, premises liability, nursing home misconduct, and medical malpractice – in the last 11 years. Our lawyers have more eight-figure verdicts than any other firm in Georgia over that same time period. 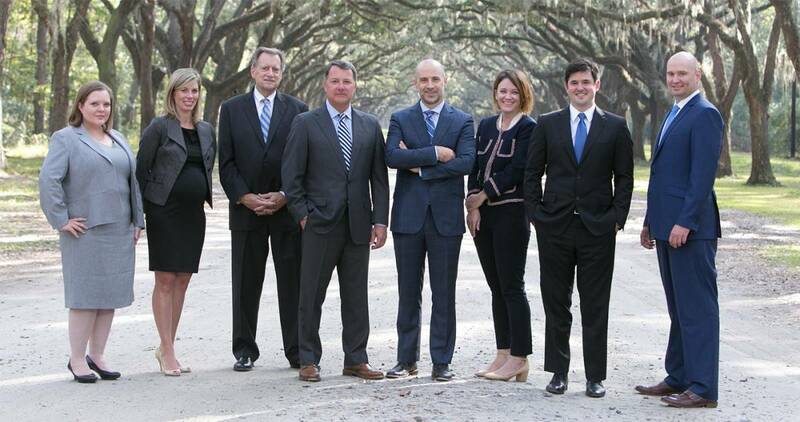 Our strong record of handling complex cases is why many attorneys, including the top personal injury lawyers in the region, refer clients to us. Traumatic brain injury (TBI). This injury often completely changes a person’s life. A TBI can cause severe cognitive difficulties, loss of physical function, and many emotional complications. Spinal cord injuries. We are experienced at showing that an act of negligence by another party caused loss of motor function, loss of bladder control, changes in sexual function, and other pain and nerve damages. In the most serious cases, victims can become quadriplegic or paraplegic. Loss of limb. Clients who lose an arm or a leg, a hand or a foot, or multiple appendages, suffer physical pain and the inability to perform daily living activities, such as eating or enjoying time with their loved ones. Some people are permanently unable to return to work. Prosthetics may be required. The physical pain is made worse for most patients because it is accompanied by the emotional suffering of disfigurement. Burn injuries. First-, second-, and third-degree burns can be caused by an auto or truck accident, accidents at home, or accidents in workplaces such as industrial sites. Even with surgery, burns often cause scarring and disfigurement. Child injury. These cases are especially serious because children are less developmentally equipped to process trauma and can suffer lasting effects into adulthood.Injuries caused by property owners. Business and property owners have a duty to keep their premises safe so that visitors and shoppers do not slip and fall, get hit by moving objects, or get attacked because security was negligent. Nursing home abuse. Our lawyers represent seniors who have been mistreated or otherwise hurt due to physical, sexual, emotional, or financial abuse, or due to negligence. Birth injuries. 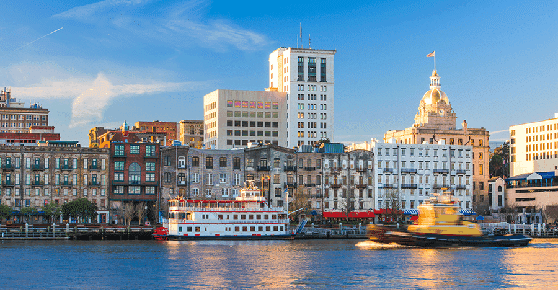 We have successfully negotiated and tried medical malpractice cases across Georgia. Our medical malpractice lawyers bring claims against hospitals, doctors, nurses, and others who fail to properly diagnose a birth injury, fail to properly address known risks during delivery, and fail to treat correctable problems in a timely manner. Wrongful death. We represent the families of loved ones who have been tragically killed due to the fault of another. Our lawyers seek and demand compensation for the loss of financial and emotional support the deceased would have provided spouses, children, and other family members. When a catastrophe occurs, you can rely on the experience and compassion of the Atlanta and Savannah personal injury attorneys at HLM. Auto accidents. We protected people injured by speeding, reckless driving, distracted or drunk driving, or any other negligent roadway behavior. Our firm also handles claims involving autonomous vehicles. Truck accidents. Truck drivers and trucking companies who encourage drivers to put profit and fast delivery ahead of safety should pay their victims for the injuries and deaths they cause. From drowsy or distracted drivers to poorly maintained vehicles and defective parts, our experienced Atlanta and Savannah truck accident lawyers can handle complex claims. Motorcycle accidents. These crashes are often deadly or catastrophic because motorcycle riders have little protection, often falling straight to the ground at high speeds. Drivers and owners need to understand that if they cause death or injuries, they should pay for failing to obey the traffic laws, failing to properly prepare their vehicles, and for reckless behavior. Auto defects. The manufacturers of cars and car parts deserve to be held accountable when steering wheels fails to turn, brakes fail to perform, electrical components do not work, or other car defects cause death or injury. Truck defects. Truck accidents are especially dangerous because of a truck’s weight, size, and dimensions. Cars and motorcycles are no match for trucks that have bad brakes, defective hydraulics, bad tires, and other defects. Defective medical device products. Makers of hip implants, vaginal meshes, prosthetics, and other medical devices make a lot of money when they sell their products. When the products cause the user to need corrective surgeries or to manage intense physical pain, the makers can and should be sued for the injuries they cause. Defective pharmaceutical products. Drug makers, distributors, and sellers have a duty to make sure their products are safe for consumers. Dangerous talcum powder products. Current studies show that there is a link between the use of talcum powder and ovarian cancer. At HLM, we are bringing product liability claims against talc manufacturers for the harm they cause women and their families. Our Atlanta and Savannah product liability attorneys handle a full range of product liability cases including the above actions and those involving electrical products and toys that cause harm or fatalities. Businesses, financial advisors, and insurance companies all have a duty to act fairly and honestly when dealing with consumers and the public. If a company or individual misrepresents the facts, fails to use due diligence, acts in bad faith, or does not comply with federal or state law, our Georgia business law attorneys file and litigate the appropriate legal claims. We bring actions for bad faith insurance negotiation, consumer and business fraud, and violations of commercial law and securities law. We also handle a broad array of business disputes, including intellectual property. The insurance companies will have the best lawyers representing their interests. You need a lawyer with the skills, experience, and record of success to forcefully convince these companies to settle cases before they go to trial or to persuade trial juries that the defendants are liable. Injury victims, families, and referring lawyers can rely on the Atlanta personal injury lawyers at Harris Lowry Manton LLP, to conduct thorough case analysis, apply the most current and relevant law, and use compelling arguments to obtain justice in state and federal court. For help now, please call 404-998-8847, or use our contact form to schedule a consultation at our offices in Atlanta or Savannah.